Am I in Empire Locksmiths service area? Our service area includes all of Sydney. How much do good locks cost? Choosing the best lock does not mean the most expensive but when it comes to security, you get what you pay for. Sometimes being cheap with locks can lead to a very expensive lesson. You can always email us an image of the lock for the exact price and receive 5% off the lock when we attend site to install. Why I should I get a Empire Locksmith rather than install a lock myself? 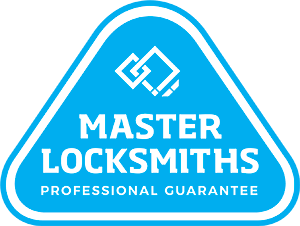 A qualified locksmith can offer a professional service without missing shortcuts to guarantee a secure lock install as well as advising you on the most suitable lock for your situation and budget. You will have the peace of mind knowing you are using the correct lock. Most importantly a licensed locksmith won’t void the warranty on the lock equipment. How quickly can I organise a locksmith? Empire Locksmiths aim to meet your needs as soon as possible. Our services offer a 24 hour fast response to Ryde, Homebush, Concord, Rhodes, Parramatta, Pymble and surrounding areas. Emergency appointments can be met within half an hour depending on location. I am moving into a new home. Should I get new locks/keys? When moving into to a home previous owners or builders may still have copies of the keys for your property. You do not necessarily have to change locks though, locks can be re-keyed to allow old keys to not work and new keys to that will without changing your locks which is a less cost effective way which saves you time and money. Can I request a specific appointment time? Yes. Empire locksmiths would not exist without our happy customer base and we make it convenient for them by working around the clock. Do you have EFTPOS payment options? Yes. Each locksmith carries mobile EFTPOS facilities for easy payment. Cash, Bank Transfer and Cheque payment options are also available. Accounts can also be arranged for approved customers.